Please be humble and don’t think that any act of your own will gain you righteousness in the eyes of God. We cannot can this through the law, but only because God shows us that grace. Expect it only from God! 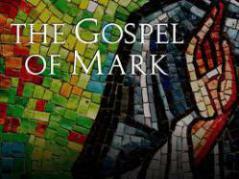 God bless you and thank your for reading this next Bible study on the Gospel of Mark. 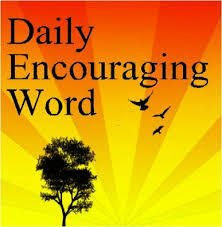 I ask you to first read the chapter in your Bible and pray that God will lead you through the text and this bible study. Thank you God for giving us your blessings and new teachings. Jesus continues His journey to Jerusalem. Before entering Jerusalem He asks 2 of His disciples to go to the town of Bethany and look for a donkey that will be standing there on which nobody has every sat yet. The 2 disciples go there and as Jesus told them the donkey was there. This shows how everything in our life’s is already in Gods plan with our lives! In the world we tend to want to get honor from others and we want to have the most expensive to look good! Jesus again shows that He didn’t came to be a worldly king, but that He is the Son of God and was there for us. The disciples put there mantles on the donkey before Jesus sat down on it, other people that were cheering and paying respect to Jesus before Him entering Jerusalem also through there mantles on the ground for Jesus to ride over with His donkey. With this entrance the prophecy of Isaiah came to pass! Also during His second coming He will come back but then on a more great way! Jesus was again on the way with His disciples and was now hungry. He therefore went to a fig tree along the way to get a fruit. But when they came to the tree Jesus saw it had no fruits on it (because it wasn’t the season for it). For this Jesus told to the tree that this tree would never give fruit again. Afterwards Jesus went to disciple to see a lot of people using the temple as a marketplace. Jesus really got angry, because they were using a place of prayer as a place to make profit. Never use your place and time that you have dedicated to God for anything else. God deserves the best of your time, your love, your offerings. The fig tree story above is applicable on this part of the story as people came to the temple to receive the fruits/blessings from God, but they were never nourished that way, because others were using that place as a marketplace to make a profit (and not always in an honest way! On the way back from Jerusalem to Bethany Jesus and His disciples came across that same fig tree. And now it was totally withered from the ground up. The disciples were shocked and reminded what happened that morning. Jesus explained them that when we pray God to help us, that we need not only pray, but need to it having faith that God has already given it to us! God wants us to have a faith without doubt. I ask God everyday to help me grow in this area and I know that God will bless me this way and make stronger in this area not let any doubt come in. God wants us to not look at what we see in our earthly circumstances. I for example know that God has already blessed me with a new job and will bless my families financial situation and give us in abundance. Also I know that God has blessed me to also do the work for Him! But God also asks us to forgive everyone that we still hold a grudge against, because if we forgive them, then God will forgive us our sins. We cannot expect to be blessed by God if we cannot even forgive other people for what they have done to you! The chief priests, the teachers of the law and the elders saw everything that Jesus was doing and aksed Him on what authority He did all those things. Jesus asked them on which authority JBap did all he did. They did not want to admit that he did it on Gods authority, but also didn’t dare to say it was on his own authority. JBap was widely accepted as a prophet from God and they feared both reactions to give them an unwanted consequence so the did not answer this question from Jesus. For this reason Jesus (knowing that their intent was false and wicked) also told them that He would not answer them. God wants us to share the Good Word, but if people are only out to do us harm or ridicule them, then we are not by anyway obliged to answer there question. God will let us know through the Holy Spirit why people are asking certain questions (and if the intent is good or wicked).